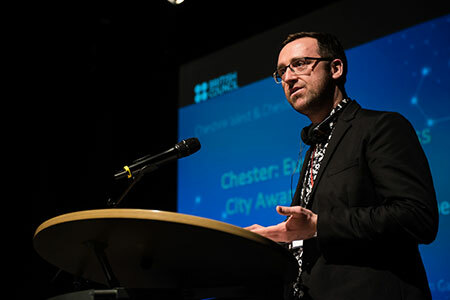 Chester is helping other world cities become accessible to all, by sharing its experience at an international conference. In recent years, Cheshire West and Chester Council has made adaptations to Chester’s historic environment and infrastructure to help to meet people’s needs. The majority of the city walls are now accessible by wheelchair and improvements have been made to benefit ambulant disabled and visually impaired people, such as the installation of new handrails and tactile surfaces. All sections of The Rows can be accessed by wheelchair and places such as Grosvenor Park have been upgraded to welcome visitors with disabilities. The Disabled Go Online Access Guide provides up to date information on accessible venues. Many more improvements have been made to public spaces, transport infrastructure and public facilities to cater for a range of visitors. These efforts were recognised last year when the city became European Access City Award Winner 2017, the first UK city to win the award, and other countries are hoping to learn from Chester’s experience. 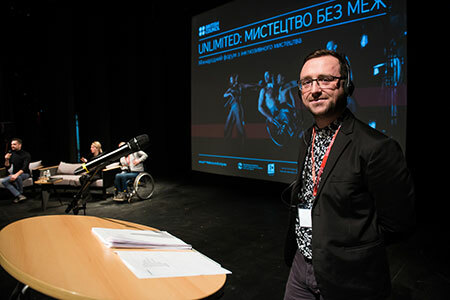 Senior Access Officer at Cheshire West and Chester Council Graham Garnett shared the council’s expertise and experiences at the British Council’s ‘Arts and disability: Creative Case for Inclusion’ international conference in Kyiv, Ukraine, on Tuesday 20th February. As the city continues to evolve, the needs of disabled people are at the forefront of designers minds. Storyhouse, new Bus Interchange and Frodsham Street public realm improvements works were designed with input from disabled people and their representative organisations via the Council’s Corporate Disability Access Forum. When the Chester Northgate development is completed in 2021, it will fully reflect the new inclusive approaches to urban design. Since 2010, six Changing Places toilets have been provided within the city, with a further three under construction or due to be completed by 2021.